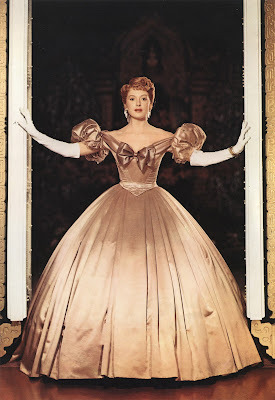 The King and I (1956), starring Deborah Kerr, is one of the classic movies airing on TCM this week. This week, TCM is airing great movies from stars like Marlon Brando, Veronica Lake, and Robert Mitchum. Plus, they are featuring films from Broadway dramas and musicals. So, without further ado, let's jump right in to this week's offerings. Just a note: the highlighted text has links to full length articles. Sunday Prime Time: Two films noir from the screen team of Veronica Lake and Alan Ladd. Silent Sunday Nights: Gribiche (1925) at midnight. This heartrending film directed by Jacques Feyder is about a young boy's attempts to find a new family so his widowed mother can remarry. TCM Imports: Carnival at Flanders (1935) at 2 a.m. This comedy about 15th century Flanders, which is also directed by Feyder, has a visual style that is based on the paintings of old masters. Best Day to DVR: Wednesday evening/Thursday morning. 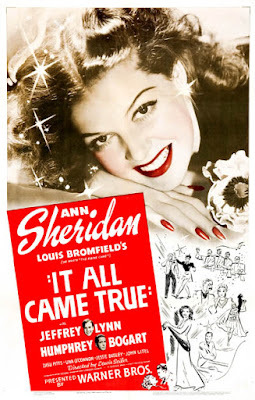 TCM will air some of the best Broadway musicals that were made into films. This is a great week for . . .: fifties movies. 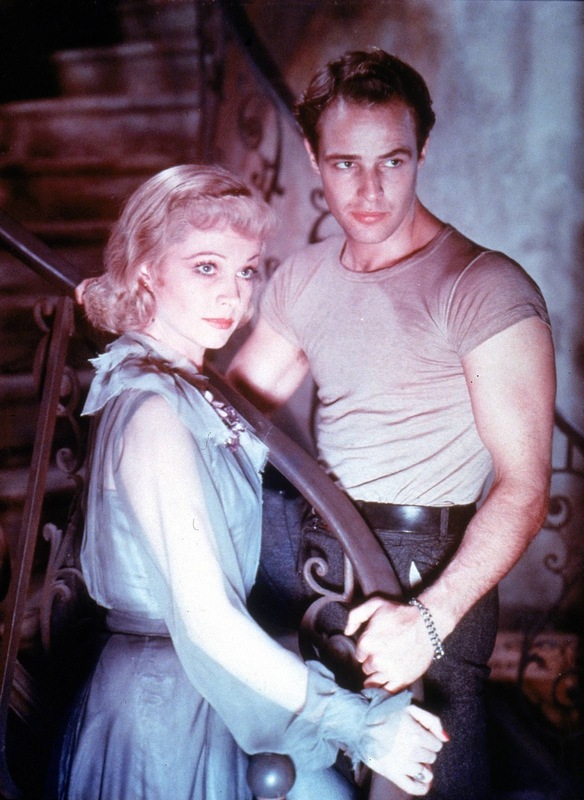 You've got fifties icons Brando and Dean on Monday daytime, fifties musicals on Thursday night, and several B-movie creature features on Friday afternoon. Three daytime picks: The day's theme is complicated men. During the 1950's, a new breed of actors brought the method acting style to American films in dramas like On the Waterfront (1954) at 7:15 a.m., which stars Marlon Brando as a frustrated boxer turned dock worker who takes on a corrupt union boss (Lee J. Cobb). East of Eden (1955) at 9:15 a.m. stars James Dean in a dysfunctional family drama based on John Steinbeck's novel. Cat on a Hot Tin Roof (1958) at 2 p.m. features a great performance from Paul Newman as a gone to pot ex-football player who can't get over the suicide of his best friend. Prime time lineup: TCM will celebrate the career of star of the month Marie Dressler each Monday in May. This week's selection are two of her early sound films. 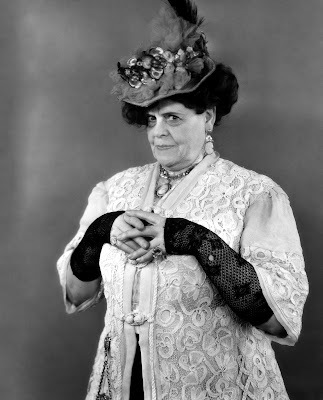 The musical comedy, Chasing Rainbows (1929) at 8 p.m., which features Dressler as a comedienne, and The Divine Lady (1929) at 9:30 p.m. in which Dressler plays the mother of notorious 18th century aristocrat Emma Hamilton (Corinne Griffith). Late night pick: Tillie's Punctured Romance (1914) at 12:45 a.m. This delightful silent comedy stars Dressler as a naive country girl who is taken in by city slicker Charlie Chaplin. This film is notable for being Chaplin's breakthrough and for being the first full-length comedy in American films. Three daytime picks: The theme is unusual living arrangements. It All Came True (1940) at 12:30 p.m. stars Humphrey Bogart as a gangster who hides out in a boarding house full of eccentrics like Ann Sheridan and ZaSu Pitts. The fun romantic comedy A Kiss in the Dark (1949) at 5 p.m. stars David Niven as a concert pianist who inherits a run-down apartment complex. The French thriller The Murderer Lives at Number 21 (1942) at 6:30 p.m. follows an inspector (Pierre Fresnay) who checks into a seedy boarding house in the hopes of catching a serial killer. Prime time lineup: Movies about the British seaside town of Brighton, starting with the murder mystery Jigsaw (1962) at 8 p.m. followed by the great British noir Brighton Rock (1947) at 10 p.m. that stars Richard Attenborough as a small-time hood. Late night pick: The melancholy Merchant-Ivory film The Remains of the Day (1993), about a repressed English butler (Anthony Hopkins), was partly filmed in Brighton. Three daytime picks: The theme is movies from actors named Robert, starting with Robert Ryan, Barbara Stanwyck, and Marilyn Monroe in the great noir Clash by Night (1952) at 7:45 a.m. Robert Montgomery gives a sensational performance as a charming psychopath in Night Must Fall (1937) at 11:30 a.m. No celebration of old Hollywood Roberts would be complete without Mr. Mitchum. He stars in Where Danger Lives (1950) at 3 p.m. as a doctor who becomes involved with a beautiful mental patient (Faith Domergue). Prime time lineup: Every Wednesday and Thursday in June, TCM is turning the spotlight onto movies that made the journey from the stage to the screen. Tonight's theme is dramas starting with A Streetcar Named Desire (1951) at 8 p.m., a Southern Gothic play from Tennessee Williams that stars Marlon Brando, Vivien Leigh, Kim Hunter, and Karl Malden. Next is Miss Julie (1951) at 10:15 p.m., which is Swedish playwright August Strindberg's work about class and power starring Anita Bjork. Late Night Pick: Richard Burton gives a great late-career performance in Equus (1977) at 2 a.m.
Kathryn Grayson and Howard Keel in Kiss Me Kate (1953). Three daytime picks: The dramas continue in the morning with Jose Ferrer's Academy Award-winning performance as the romantic poet with the long nose in Cyrano de Bergerac (1950) at 6:30 a.m. followed by The Green Pastures (1936) at 8:30 a.m., an unusual film that combines Biblical stories with African-American folklore. The afternoon is devoted to films scored by the prolific composer David Raksin who is best known for his scores to Laura (1944) and The Bad and the Beautiful (1953). Raksin also worked on Westerns like Jubal (1956) at 6 p.m.
Primetime lineup: TCM continues its spotlight on stage to screen with Broadway musicals The King and I (1956) at 8 p.m. features Yul Brynner's career-defining performance as the king of Siam while Carousel (1956) at 10:30 p.m. is a fine adaptation of Richard Rodgers and Oscar Hammerstein II's groundbreaking musical. 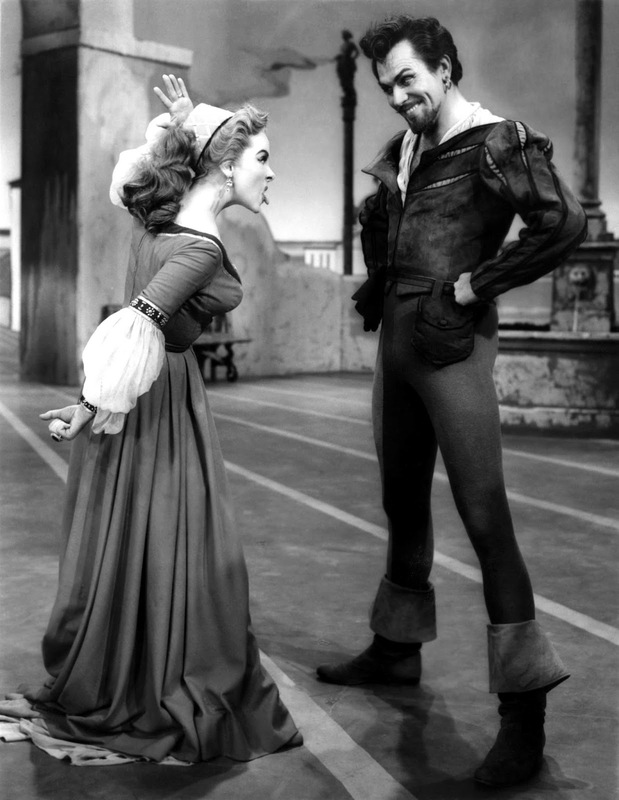 Late Night Pick: Kiss Me Kate (1953) at 5:45 a.m. is composer Cole Porter's witty re-imagining of The Taming of the Shrew as a backstage farce. Erich von Stroheim, William Holden, and Gloria Swanson in Sunset Boulevard (1950). Three daytime picks: The Broadway musicals continue in the morning with two of Ann Blyth's fifties operetta's including The Student Prince (1954) at 8 a.m., while Frank Sinatra plays a musician on the make in the adaptation of Richard Rodgers and Lorenz Hart's musical Pal Joey (1957) at noon. The afternoon is devoted to creature features including The Black Scorpion (1957) at 2 p.m. in which a giant prehistoric beast terrorizes rural Mexico. Prime time lineup: TCM is airing 17 of writer-director Billy Wilder's best movies each Friday in June. 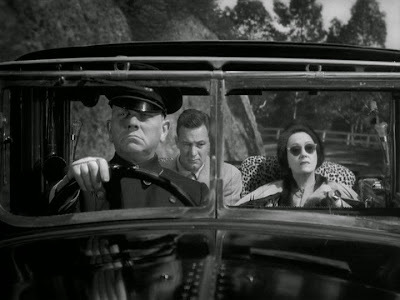 This week's selections are the classic Hollywood satire Sunset Boulevard (1950) at 8 p.m. followed by Wilder's caustic take on media sensationalism, Ace in the Hole (1951) at 10 p.m.
Late night pick: The Spirit of St. Louis (1957) at 2:15 a.m. is Wilder's biopic about aviator Charles Lindbergh that features a great lead performance from James Stewart, who was a noted pilot himself. TCM's prime time lineup is all about the World's Fair starting with the all-time classic musical, Meet Me in St. Louis (1944) at 8 p.m. and the Elvis Presley vehicle It Happened at the World's Fair (1963.) at 10 p.m., followed by So Long at the Fair (1950) at midnight, which is a British thriller starring Jean Simmons based on an urban legend that centered around the Paris Exposition of 1889. The Sunday Night Feature celebrates popular screen team of Alan Ladd and Veronica Lake with two noirs: The Glass Key (1942) at 8 p.m. and The Blue Dahlia (1946) at 9:45 p.m.